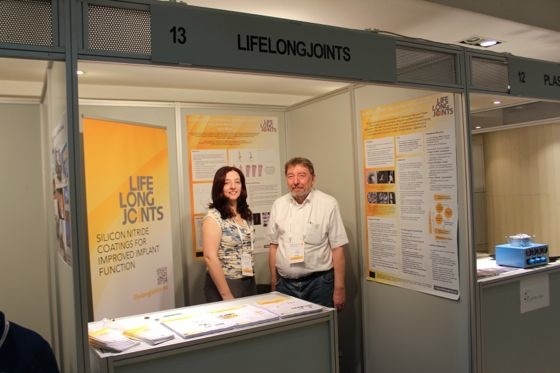 LifeLongJoints was present at the Industrial Technologies 2014 conference in Athens from 9-11 April 2014. The Industrial Technologies 2014 conference integrates nanotechnology, biotechnology, advanced materials and new production technologies. The event offers opportunities for developing valuable research and industry collaborations, and showcases cutting-edge research, latest innovations and rising companies from all around Europe. 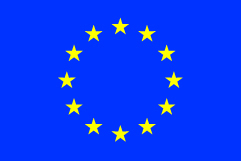 Opportunities in Horizon 2020 in the field of enabling technologies. The event takes place during the Greek Presidency of the European Council and has received funding from European Union Seventh Framework Programme. On the picture you see Karen Steenson of the University of Leeds and Axel Wegner of TuTech Innovation GmbH.